I can remember so clearly when and where we were when we found out we were expecting you. Earlier in the day I had been writhing around on my bed in agony. My first and genuine thought was that I had another tumour. Having had three ovarian tumours the pain was extremely similar. I didn’t want to believe it was another tumour, as I knew that meant I would have to go to hospital. Normally this isn’t problem but this particular day Cornwall and most of the UK had severe weather warnings. Many places were under water from burst rivers and torrential rain. Our main road to the hospital had trees down and I knew we would have to go the long way round to even get to A&E. But alas I knew we had to go. Having lost my right ovary from tumour strangulation, and part of my left ovary for the same reason. I knew that if I didn’t catch it in time I would lose the only remaining slither of my left ovary. So your daddy packed me an over night bag and I text my boss to say I was poorly. We bundled into the car, I was in a serious amount of pain, feeling every bump in the road. What normally takes 20 minutes took over an hour but we made it. Once inside I remember going through all the normal questions and answers. I was being investigated at the time due to an undiagnosed heart condition, so was used to being poked and prodded. After a little while the general consensus was that they would send me for a scan…but…the doctor came back to say…I don’t have a diagnosis for your pain, but you are pregnant. I was curled up in the foetal position on the bed and your daddy’s jaw dropped to the floor. After 8 years and no success we had given up believing that we could have a family and there we were, in the middle of the worst storm Cornwall has seen for years, we were being told that you existed. Wow. Just wow. From that moment it was all about you. You were the one who mattered. As my stomach burgeoned and I traced my fingers over my belly I could feel your touch from the inside. I have never felt as good about myself than when I was pregnant with you. My body was your home. Everything I did would affect you. I had the most important job in the world. To be the best incubator for you. I was on the top of the world as I watched my body change to make room for you. Whilst I was pregnant with you I had 61 hospital appointments but you were worth every single one. You were worth all the fear and anxiety. You were loved so very dearly from the moment we knew you were there. I don’t think I really believed you were really real until you were placed in my arms. It really upsets me to know that you will never get to meet your little brother Arthur. You will never get to hold hands, play together, squabble and grow into fine young men together. What I do know is that you share something so special. I know that both of you grew in my body, you have both heard my heart beating from the inside. I missed being pregnant when you were born, I missed having you all to myself, but I loved having you in my arms even more. From the moment I touched you, it was you who mattered. Always you. I can remember when I woke up in the mornings and I could hear your little voice babbling away. Talking to your little reindeer. I miss that. I really miss that. I miss knowing that you are in the next room. I miss not being able to sneak in and just watch you sleep. I miss waiting until you were in a deep sleep and stroking your silky soft hair. I miss waiting in bed until you woke up, keeping our bed warm, so I could come and collect you. You would come into our bed every morning to start our day with cuddles. I miss talking to you and watching your face light up to the sound of my voice. I miss squidging your little cheeks and your bum. I miss not being able to soothe you and make things right. I just miss you. But, I also miss what could have been, all the things we had planned but were never able to. As I’ve always said, what are milestones for other families are losses for us. I miss not being able to read you a bedtime story, and I miss your little face, excited for one more book. I miss not being able to teach you the alphabet and to count to ten. I miss not building sand castles with you and playing games. I miss not being able to take the first picture of you in your school uniform. I miss not being able to stick a plaster on your knee when you fell over for the first time. I miss hearing you say ‘mummy, I love you’. I miss you so much. I miss your life. Today it has been two years since you have been gone. Two whole years, almost double the amount of time you spent here with us. You would be three now, you would be excited about Christmas, you would be such a wonderful little boy. People think that it gets easier to live with losing you over time, this isn’t the case, you know that as I’m sure wherever you may be you see the pain that we endure. It has been two years since I last held you, since I last cuddled you when you were poorly. It has been two years since I lost myself in your beautiful big brown eyes, and it’s been two years since I was blessed with your captivating smile. This time two years ago I found your lifeless body. This time two years ago I tried in vain so desperately to pump air back into your body, I tried so damn hard. I heard the most devastating and world shattering words anyone can hear, “I’m sorry my love, but he’s gone”. From the moment I called the ambulance to the moment you were pronounced dead it was 7 minutes. 7 short minutes but 7 of the longest minutes one can bear. When we eventually saw the ambulance sheet, it said “life extinct”, EXTINCT. Somehow there is more finality to that word than ‘dead’. Extinct – no longer in existence. You were gone. Forever. In one single moment, my whole world changed. The earth shattering guttural sound that came out of my body is one that I don’t think I could replicate. I felt as though my chest was being crushed by a train, the heaviest and most suffocating weight. Death is tangible. Your death is tangible. It overshadowed any other emotion I have ever felt. It reached deep into my soul and gripped it so tightly. When I lost you, I lost myself. Ever since that moment, I have had to re-build my life, not by choice, but against my will. We did not choose this. We chose you. We gave you life. We gave you everything. And you were taken away. I had to re-learn how to be myself. I had to re-discover who I was. Your daddy and I had to embark on this indescribable journey of survival as two, not three. What is life after loss? Life after loss is the existence that is left behind when the most significant part of your soul and your self is irreparably changed in one single second. The shell of your former self, that has been forced upon you, not chosen. Until you have children you journey through life quite happily, making choices that will best suit your desires, objectives and needs, but when two become three that changes. Your needs suddenly become the lesser of the two as your life is enveloped by this little person. Overnight you assume responsibility for a person, a little person that is wholly dependent on you; and there is no better feeling. Simply put, I write this now because of you, the little boy who died. But I am the person I am today because of you, the little boy who lived. Your life eclipses your death, and it does so, because I will always be the person I am today because I was blessed with your life and I will share your life forevermore. You will ALWAYS matter. 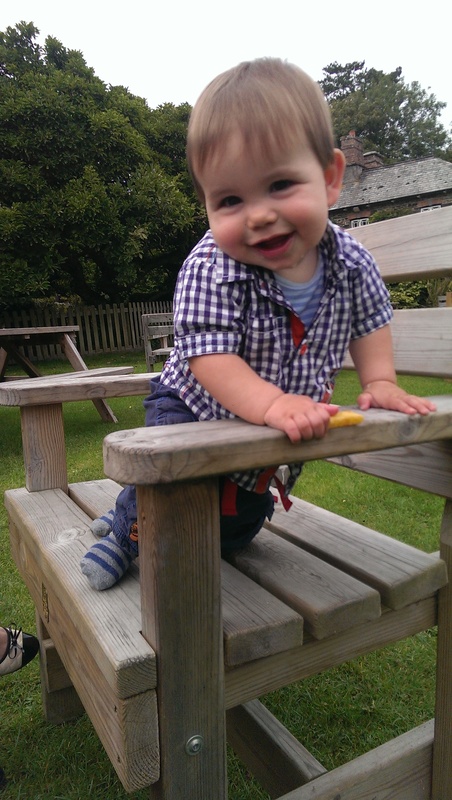 This entry was posted in Child Death, Child Loss, Despair, Grief, Loss, Love, Pain, Sepsis, Strength and tagged child death, child loss, death, depression, emotions, fear, grief, hurt, loss, love, memories, pain, William by amotherwithoutachild. Bookmark the permalink. OMG what beautiful hear rendering words. I cannot imagine the loss and pain you feel but your words make one think so deeply about how precious life is and how quickly it can disappear. Cherish your memories and make more with Arthur. Remember but learn to love life again for Arthur. Mel, have been following you for almost a year when I was told not to read about it as I was pregnant with my 2ND child..I can’t say that I can feel your pain because losing your dad vis-a-vis losing your child isn’t the same but I do know about grief.My love to William and you..take care of Arthur..would love to see more pics of him. I could not stop crying as I read your words and I could not stop reading because I could hear your voice and it was so very compelling. I grieve for you and your family. No-one should have to bear so much. My thoughts and prayers are with you and yours.